This roundup presents the latest in health news covering Alzheimer’s, heart failure, chronic kidney disease, cardiovascular disease, adrenal fatigue, and chronic fatigue syndrome. This week, we discussed the link between amyloid proteins that trigger Alzheimer’s disease and an increased risk of heart failure, symptoms of stage 3 of chronic kidney disease, the reduction of the heart disease and diabetes risk through the Paleo diet, and the causes, symptoms, and treatment for adrenal fatigue and CFS. Amyloids triggering Alzheimer’s disease can also raise the risk of heart failure risk. 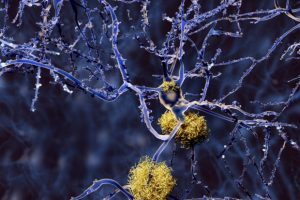 Amyloid plaques are indicative of Alzheimer’s disease, but similar deposits can also appear on the heart, too. Adrenal fatigue is a common syndrome in America, but a lot of people may not even realize they are suffering from it, so here we answer the question: What is adrenal fatigue and how can we deal with it? Chronic fatigue syndrome (CFS) is a condition in which the individual constantly feels too tired to perform any activity – even activities they enjoy. Worse yet, no amount of sleep or coffee can shake off this constant feeling of being tired. Chronic fatigue syndrome affects roughly 836,000 Americans, and a shocking 84 to 91 percent of them are not even diagnosed. Researchers aren’t certain what causes chronic fatigue syndrome, but they do have many theories about potential causes.